As part of our shop clean-up, we have various odd-n-ends that we are offering at clear out pricing. Stock is extremely limited normally to one single piece. Water Resistant LED Ribbon Strips. 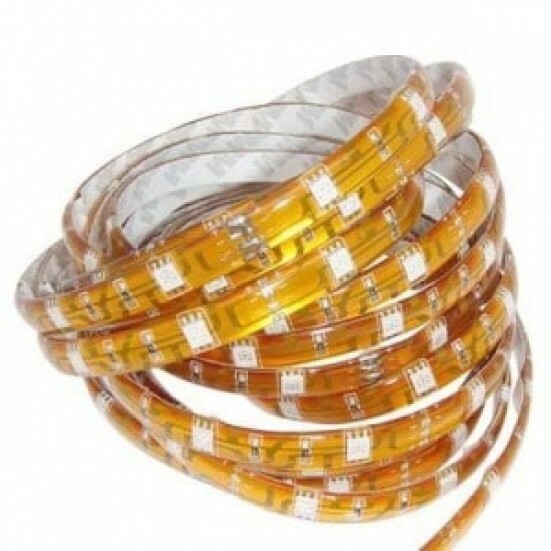 We have a special purchase on a limited supply of water resistant LED ribbon strips. These are factory coated with a clear epoxy making them a great solution for moisture prone areas. One a few of each color is in stock and they are priced to sell quick. 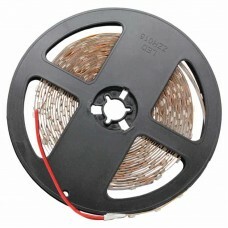 Designed for the average home owner as well as lighting professionals, flexible LED strips can be used for architectural lighting, sign letter lighting, concealed lighting, perimeter lighting, in campers and trailers for low-cost high-efficiency lighting, in cars for accent lighting, in your firearms or gun safe to light up your possessions – the possibilities are endless. They are a cool and efficient way to decorate tables, TV rooms, display cases, and closets. They can also function as eye catching special effects at stores and expo booths. The strips feature an adhesive backing (3M Double-Sided tape) allowing for self-adhesion to non-porous surfaces. 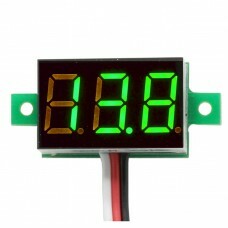 Each length of 1m (39.4-inch) contains 60 LEDs with this being 5m, there are a total of 300 LEDs. 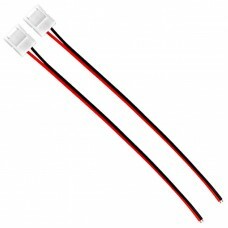 Can I Run This On a 9v Battery: The LED strip will run on DC voltages from 9v to 14v. It will run with a 9v battery but the intensity will not be as bright. 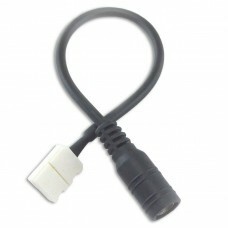 It is suggested that you run shorter lengths of the LED ribbon to conserve battery life. 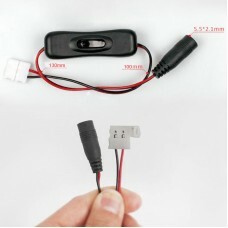 Operation on a 12v battery such as a car battery are totally fine. Can I Use This With a Wall Adapter for Power: Yes, a DC wall adapter will run the LED display just fine (see our power adapter here). 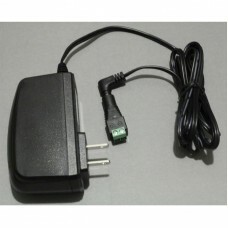 Keep in mind that the current draw for 5m is approximately 2A (2000mA), so ensure your adapter can supply 12v at 2A. Because the ribbon is can be trimmed in shorter lengths, you can customize the length and power requirements. The ribbon can be trimmed every 5cm (1.97”) which gives you three LEDs – the current draw for three LEDs is only 20mA, so if you wanted a shorter length, you can trim the ribbon down in size. If you were to customize a length to say 20cm, this would have 12 LEDs and would draw only 80mA of current at 12v. 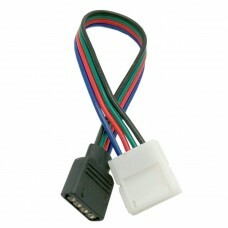 Will This Work In My Car/Truck/Motorhome or Trailer: Yes, the LED ribbon is fantastic for use in mobile applications. 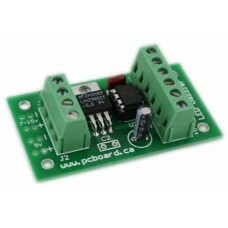 Because they run on 12v and draw very little current, they are absolutely great substitutes for standard lighting applications. Remember the LED Ribbon also have an adhesive backing on them to aid in mounting, such as under-counter, stairways, walkways, etc. 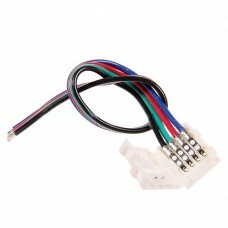 Flexible Ribbon LED Light Strip 1 Meter (39.4 inch) Designed for the average home owner as well as..
Ultra high precision low cost digital voltage meter - allows you to put a voltage meter anywhere wit..
3528/5050 LED Ribbon Power Connector For 8mm Ribbon Strips Power connector cable for use with 8mm ..